As one of the richest cities and a major financial hub in Europe, Frankfurt is a popular place with Germans and foreigners alike. Frankfurt is known as the smallest metropolis in the world, it is the most international city in Germany, rich in history, culture and great cosmopolitan atmosphere. Almost one of three people living in Frankfurt is not a German citizen. Standard of living and salaries for almost every profession in Frankfurt are typically above the average for Germany and Europe. So almost everyone would like a chance to live and work in Frankfurt. Frankfurt, as a part of Germany, has a healthy economy, with a focus on the financial services, hospitality industry, IT and telecommunications sector, logistics, biotechnology and creative industry. It is one of the Europe’s leading locations for companies. This quick guide will help you to discover how to find a job in Frankfurt. Before you start to look for a job in Frankfurt, you will need to check if there are any steps you need to take to get valid work permit or visa. As the City of Frankfurt is in Germany - an EU country, citizens of other EU and EEA countries are free to live and work there without any visa or work permit. However, if you’re from a country outside the European Union, you will need to have a valid German working visa. Germany’s Federal Foreign Office have published visa requirements for all nationalities on their official page. You can check here, if you need to have a visa or any other work permit to work in Germany. Foreigners typically have to obtain the temporary residence permit – Aufenthaltserlaubnis. It is an single year permit, but it can be renewed indefinitely. Usually, after 5 years, citizens of countries outside EU are eligible to apply for a permanent residence permit in Germany. Highly skilled foreigners from a countries outside the EU are eligible to apply for an EU Blue Card. This working permit gives a right to work across almost every EU country. Highly skilled professional in this case means that you have five years of senior professional experience or have completed a bachelor’s level degree. As one of the finance hubs in the world and one of the leading locations for companies, Frankfurt offers a wide array of available job vacations for its citizens. Frankfurt is also a hub for international companies, so if you are not fluent in German language, you might find a job for non-German speakers by working in global company or within an international company, where English is an official business language. Some of the well-known international companies operating in Frankfurt are General Electrics, Nike are Dell Technologies. If you’re a student, many of the international companies in Frankfurt offer internship opportunities for foreign students. If you are still studying and want to try living and working in Germany, this could be great chance for you. Before start look for a job in Frankfurt and move to this great city, you’ll want to know something more about job requirements, wages and working conditions in Frankfurt. If you have a specific profession or role in mind JobAndSalaryAbroad.com is a great source of getting insight into salary ranges, benefits and job requirements. Here you will get more information for more than 300 occupations in Frankfurt. There are globally popular sites where you can start your job search, like LinkedIn, Indeed, Glassdoor, Monster, etc., but don’t forget local sites which sometimes cover better Frankfurt area. 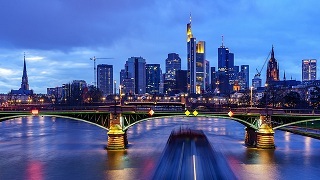 Some of the well known Frankfurt specific job sites are: JobinFrankfurt.com, Stellenangebote and Arbeiten.de. There are many big international recruitment agencies that are looking for talented individuals. They are always ready to help highly skilled job seekers to connect with the right employer. Some of the larger recruitment agencies in Frankfurt are: Kinney Recruiting GmbH; Michael Page - Personaldienstleister für Experten, Vollzeit & Interim; Adecco Personaldienstleistungen GmbH; Manpower GmbH & Co. KG; Amadeus FiRe Personalvermittlung & Interim Management GmbH; Designerdock Frankfurt; Skillmix Health Care / Arbab International GmbH. Searching for a job online is a good idea, especially if you are diligent and regular in searching, but using services of a recruitment agencies could make your job searching much effective. Keep in mind that many employers, especially international companies in Frankfurt, are used to welcoming foreign citizens. You should explain that you are relocating to the employer and they’ll be understanding of your situation. It is very important to explain your visa status, and to tell them if you will need a sponsorship. No matter which recruitment agency you choose, always check out its credentials. Be wary of scams and do not pay to be put in touch with an employer. If the recruitment agency asks for money to process your application, it is not a genuine company. You can start building your network online, by joining groups in your field in Frankfurt on professional sites like LinkedIn and Meetup. Make sure your CV is up to date, easy to read and error free. CV should be no more than 2-3 pages and provide information about your work experience, education and other activities related to the job you are applying for. CV should also include your personal details such as date of birth, marital status, nationality and contact phone. Headshot photo should also be included. If you are not sure how to make a CV, Europass offers standard template with all relevant information, that is very simply to complete. You can also consider an idea to hire local HR consultant who can help you to make good CV. Job interviews can be very stressful, especially if you are not just looking for a job, but also to move abroad. When recruiting abroad, usually first interview will be held on a video call or via Skype. This type of interview is much different than face to face meeting, so you should prepare yourself for it. Remember that first impression is very important in Germany. Startup companies have relaxed approach during interview process, while established businesses in Frankfurt will conduct more traditional interview process. Interview process usually is not over after the first interview, it usually involves two ore three rounds. 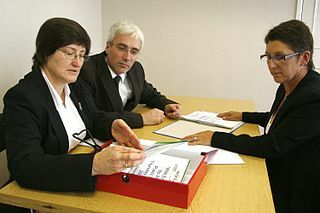 If it is needed for the job, German language test is also part of the interview process. Knowledge of German language will make your life in Frankfurt much easier. Everyday communication will be something you will need outside the company, so even if your employer’s business language is not German, you should consider to learn it... at least to speak it. If you have got an official job offer in Frankfurt, valid visa and work permit for Germany, than it’s time to prepare for relocation.